I was a bit leery at first as I've never had to deal with exterminators before, but I am so pleased with the service that I have been getting. When I called to set up a consult, they sent out someone to take a look and tell me exactly what needed to be done to get rid of the bugs. Didn't try to oversell, and spoke plainly so I would understand. Abdulla has been amazing. He comes out, looks around, asks how things have been, and gets excited with me when I tell him how well it's working. My kids are young, and he makes sure to treat the house in such a way that they won't come into contact with anything, and he always says hi to them. Polite, kind, and cheerful, and you can tell he loves his job. Thank you sooo much Terminix for making our lives so much better. You are awesome! Terminex did a wonderful job. Tech was friendly, clean and knowledgeable. The gentleman is super and friendly. Explains everything. Don’t want anyone else he is the best. I ordered vents for the crawl spaces on my house. The installer asked if I had any questions before he left and at the time I did not. Later I went around the house to see the vents and noticed a few minor issues. The installers returned the very next day to fix them and said the Service Manager, Adam was ordering a vent that was missed. He returned himself within the next day with the additional vent and inspected all the vents himself to make sure they were all as they were supposed to be. I am very happy with the quick response from all the Terminix technicians and especially with Adam's response to the situation. great and friendly people who know their job thanks. I have had a great experience with this team. They are very knowledgeable and patient. They answer all questions and make sure you are aware that they are always available. Had major moisture problem under house that caused my floors to start deteriorating. Terminex diagnosed my problem. Placed permanent fans under house and came back several times to inspect it. My service technician was always on time, professional, and knowledgeable. Thank you, Terminex. Excellent service, as always. Everyone I have dealt with at Terminix has been punctual, courteous, and knowledgeable about your products and services. My crawl space is rodent free and humidity free thanks to you guys! Appreciate the timely and competent service provided by Terminix technicians!--Vicki Caminer. Great service. I needed a termite inspection for my mortgage company and it was quickly taken care if. Long time customer. Satisfied with termite inspection and services rendered for moisture control. Overall, I'm happy with Terminex and all the Service men we've had come to the house to check the bait stations. *** I'm NOT happy Teminex allowed a sales person to mislead me about 1. need for a Dehumidifer and that it was warrantied for life to include if we sell the house. Found that we had to pay $285+ ANNUAL MAINTENANCE contract to cover the warranty, which included the 2nd year of having it! Same sales person THEN tried to sell us on a $4500 attic / soffit solution to keep rodents out and stated we had a problem. (( I called another company in and asked them and they CONFIRMED, I DID NOT have a rodent problem and they DID NOTE ONE area near cable wires that needed to be sealed and still no rodent problems.... so I DON'T TRUST the sales staff now. Overall, I still like Terminex, though I think as a large company, they should provide me a warranty for the dehumidifier. Be careful of he sales people! Techncian showed up. Very professional, explained what he done and moved on. Very professional, humorous, and efficient. A pleasure to have John as the service tech. Yes you helped me get rid of the roach problem in my new home in Suffolk, now I need to set it up with you doing our Termite treatments as well. Terminix has provided us very professional and effective coverage of our home termite policy and moisture control of our foundation/crawl space. The tech is always friendly. And does his job well. And is always on time. Courteous and outstanding service as always. Technician is always on time and available to answer any questions I raise. Service is great. Friendly and Professional. The rep was courteous, professional, and considerate. The technicians were on time and I received a status report on my service the same day as the service. The tech named Josh Blythe who serviced my house was great. 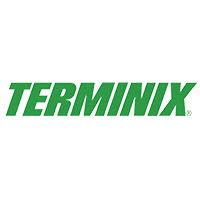 I am happy to be a Terminix customer. Like the speedy response when I need them. Howard is awesome at his job. He is so knowledgeable and nice and put me at ease with the situation we had under the house. You have a real winner in him. The contractors were all very nice and they came when they said they would. Overall, I was extremely pleased with the service you provided. Came on time, informative, friendly service, good advice. Terminix does good job for me. On time and through inspection. THE WORK WAS DONE IN A TMELY FASHION AND THE WORKERS WERE VERY PROFESSIONAL. I am very please with this service. I want to give 5 stars, but I have two different accounts with them. It's hard keeping up with which service I am paying. The service is still great.